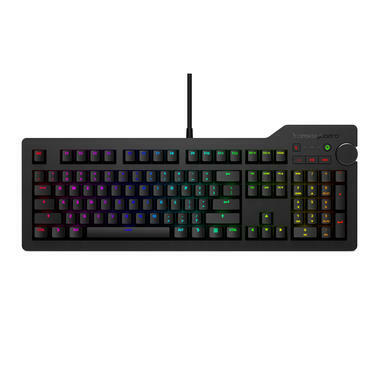 The well-known Das Keyboard 4 - now available as an RGB smart keyboard! The legendary Das Keyboard 4 is well-known among power users of premium mechanical keyboards for a reason: High quality craftsmanship, the best components and a stylish yet subtle design - one cannot go wrong with the cult brand Das Keyboard. 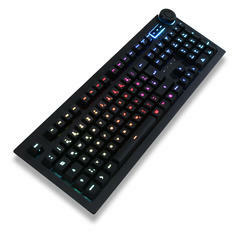 With the Das Keyboard 4Q Professional, the grizzles veteran keyboard gets even better. 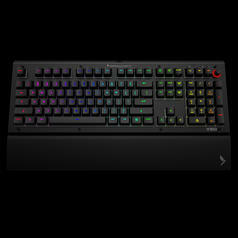 And it turns into a smart keyboard by fusing the technology of the Das Keyboard 5Q with the trusty design of the DK4! Each and every key of the 4Q Professional can individually be programmed and lit up: Whenever your boss sends you an e-mail, you can make the letters O, M and G flash red, falling stock prices can make the number keys flash and so on. As you can see, sky is the limit with such a degree of customization! 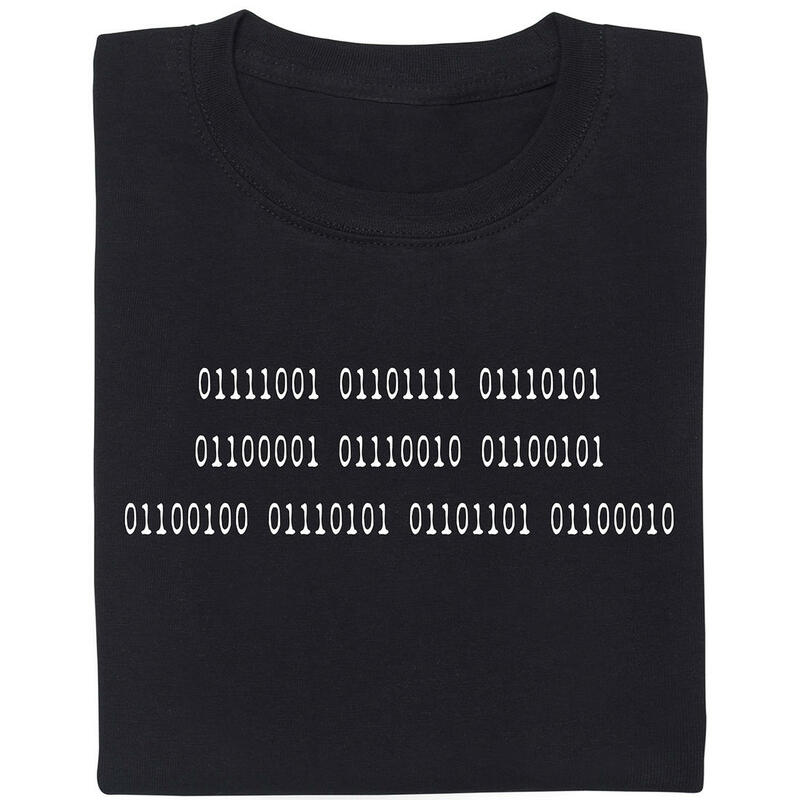 Additionally, common services such as IFTTT or Zapier can be used to control and monitor your Internet of Things devices. A simple press on the Q Smart Button will bring up a notification window that will allow you to comfortably review all currently active notifications. As expected, the 4Q excels in the core task of a keyboard, as well: typing. 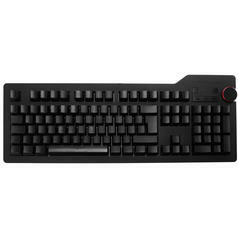 Cherry MX Brown Switches offer a soft and tactile feel, full n-Key Rollover and anti-ghosting ensure that you can always rely on your keyboard. Speaking of reliable: The aluminium top panel will protect your keyboard from the dangers of everyday use, the built-in USB hub will eliminate the need to crawl behind your computer just to plug in a flash drive and the braided cable is almost impossible to tangle up. Whether you are a returning Das Keyboard user or a newcomer in the wondrous world of mechanical keyboards: The Das Keyboard 4Q Professional is exactly the keyboard you've always dreamt of! 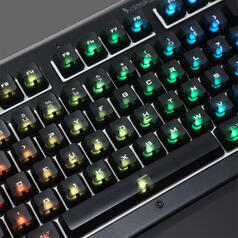 The following keyboard layouts are available: DE, US, UK and Scandinavian. 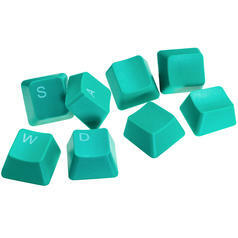 03.04.19 vanaf 29,00 € lade... Das Keyboard Key Caps for Mechanical Keyboards These key caps will transform your keyboard into the ultimate Das Keyboard!